In the kit are the dyes to create blues, green and turquoises and the mordant (fixative for natural dyes). Full instructions and kits are all packed in an environmentally friendly brown bag. This kit is most suitable for wool. 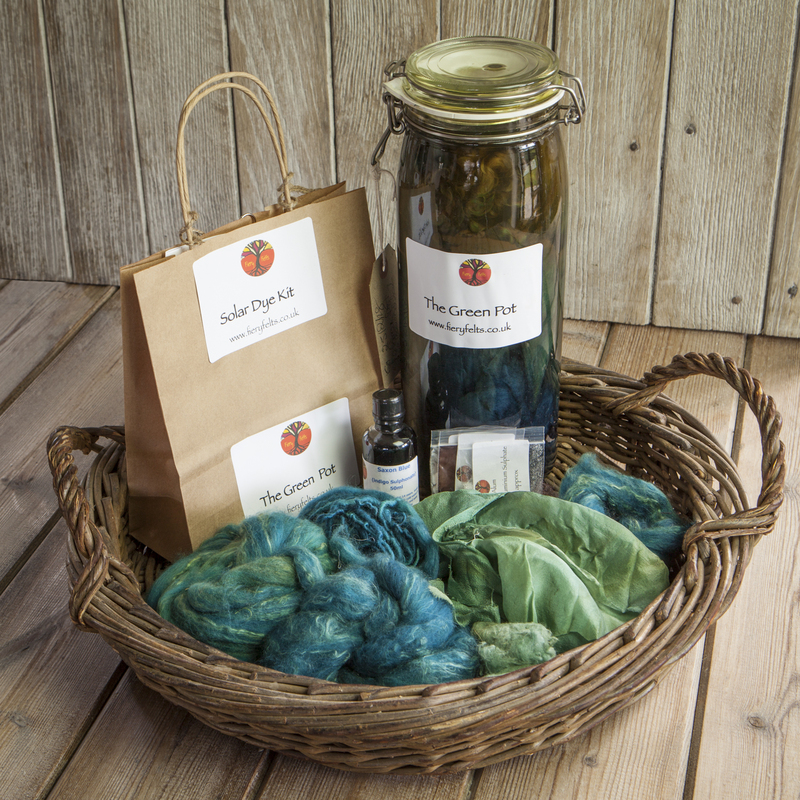 This kit contains Saxon Blue , a dye made from indigo. which I make carefully from high quality natural indigo in my own North Wales studio. This dye is acidic so not suitable for children under fourteen. Please follow instructions carefully as well as wearing gloves to avoid staining. This kit is not suitable for children under the age of 14. Final colours may vary.